← Does Art Imitate Life? Or…Life Imitate Art? One of the things I sometimes do, and have done for years, as an author-writer-editor is manuscript evaluation and refinement for publishers. Most of the mss. that cross my desk in this regard have a golden nugget hidden within yet are imprisoned in a ton or more of sodden prose that prevents the reader from accessing their truths or insights. Coin, by the way, is what allows these high-minded publishers to publish literary works that almost always lose money to begin with, but which may go on to win literary prizes and which stand a chance of enduring and becoming part of their bread-and-butter backlist, eventually selling for generations ever after as a result of the sainted English teachers and professors in the land making them required reading. Jane Austen, for instance, as popular as she is today, never sold more than 5,000 copies of any of her novels while she lived, nor did other such major literary figures who wrote timeless classics, such as Joseph Conrad or Herman Melville. At any rate, I have found over the years that the truth of the matter is that most people who write books or who have a message they want to get out, perhaps one the world wants or needs to hear, are not well equipped to deliver the goods to their intended audience. Rare indeed is an eloquent, persuasive Thomas Jefferson or Winston Churchill in the annals of the publishing world. Most often a professional writer/editor is called in to overhaul a manuscript that has promise but arrives in poor condition at the publisher. This should really come as no surprise as mastering the craft of writing requires a great deal of journeyman and apprentice work and indefatigable continuing education. Not only must one write-write-write and learn the importance of revision, but one must read and read constantly. For one learns to write in large measure by wide and frequent reading of good writers. Few, no matter how well educated, take the time to master the craft for they feel, by and large, that to do so would be a waste of time, given their more pressing, immediate concerns of life and career. Writing well, most people conclude early on, has virtually nothing to do with making scads of money, getting hitched or having fun. And, you know what? They are right! A basic grasp of good grammar, a so-so vocabulary, a modicum of charm and street smarts are enough to secure for one a decent and maybe great living (if one is very lucky), the respect of their peers, a sweetheart and so on. And yet what these practical on-the-make types fail to grasp before they hit the big time or decide they want to change the world is that once they have achieved a certain level of success, let’s call it great success, they will often find they want to do more than simply acquire another expensive toy, trophy wife/husband, home in Tuscany, yacht, or piece of extraordinary jewelry. No, those things have begun to pale for them; the kicks have gotten harder to find. They discover, eventually if they’ve hit the peaks and pinnacles of what life has to offer, that (oh, wow!) they have a message, they have something important to say and they want an audience. They want to tell the story of their lives, they want to run for national office, they want to espouse a cause, to wit, they want to “make the world a better place,” and by golly, they need to get the word out to do it! So they sit down, try to organize their thoughts, answer the summons of their consciences and (Ouch! Arrgh!) quickly discover that getting it down, articulating their arguments or life experiences or discoveries isn’t as easy as pie. In fact, it’s hard! They discover, as they try, that the very act of trying to write about what is uppermost in their minds or hearts actually challenges their assumptions somewhat, prompts some self-doubt maybe, some re-evaluation of the truths they wanted to shout from the rooftops (with their names prominently appended), and that, moreover, the right words or phrases for what motivates them and what they want to say are elusive. And that’s why learning to write well in school and improving on those basic skills continuously thereafter is so fundamentally important, though few take the time or trouble to do so. That’s why it should be taken seriously at all stages of our lives because one can never ever be too articulate or completely once and for all a great communicator, because communicating well, expressing oneself expertly and persuasively, is a lifelong process of learning and enhancement and the modes of expression are constantly changing and evolving. That’s why they shouldn’t have “written it off” after taking the perfunctory required composition and English courses to make instead their first million post haste. What these arriviste titans, luminaries and celebrities/household names, universally admired and envied, sadly and angrily discover is that to get their message out or “across,” some snaky haired mildly contemptuous former English major is suddenly and annoyingly in charge of delivering their brain child, their offspring, their contribution to the ages and mankind, and is “putting words” in their mouths, challenging their reasoning, checking their facts, questioning the very validity of their syllogisms, because the publisher, who insists on a presentable coherent manuscript—even if he/she has “written off” the book in question as another pile of commercial garbage that has to be sold to pay the rent and stay solvent in order to finance the really great books, books that will be groundbreaking and life-changing—won’t have it any other way. But why are publishers so persnickety about the quality of writing in the books they choose to publish? Well, even the most crassly commercial publishers have minimum standards because the hoi polloi, the lesser and least among the readers of the world (e.g., the mass market audience that makes books bestsellers) can smell a fake a long way off, have a nose and appreciation for a well turned phrase, and are prone to reject almost viscerally—even though they couldn’t say specifically why—a poorly written book. This is a bitter truth many self-published authors also discover with a shock and hurt feelings when they receive poor reviews for their magnum opus on Amazon, Goodreads and elsewhere. 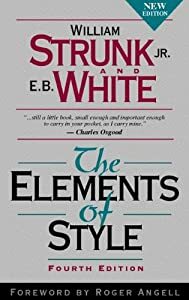 For the tough inescapable truth is that the majority of readers, whether they are writing adepts or not, respond pleasurably and positively to well written prose and reject writing that doesn’t “work,” or “sound right,” –that is, communicate effectively and convincingly—for them. You just know it when you see it—or read it. If you really want to make a statement, a difference, a lasting change, a contribution–if you want your life to be a statement or “make the world a better place”–don’t leave it to others to do justice to what it is you have to say. Take charge of the process early on and stick with it. Good writing skills flower and mature over a lifetime, and oddly the more you learn about writing, the more proficient you become at writing and expressing yourself, the deeper and more profound your thinking becomes, the sharper your critical, analytical and reasoning skills and insights become–and mirabile dictu!–when you do at last have something very important to say to a large audience, you will find all the necessary words and phrases at the ready, prepared and poised, to be used to advance your purposes so you can indeed make your mark–as only you can in your own way and in your own words. This entry was posted in Rants and tagged Goodreads, Herman Melville, Jane Austen, Joseph Conrad, Margaret Langstaff, publish, self-expression, Thomas Jefferson, Winston Churchill, writers, writing. Bookmark the permalink. It was good to be reminded of the importance of writing once again. It certainly separates the sheep from the goats, doesn’t it? Just look at the historical record. It’s very difficult to be more than a flash in the pan in the big scheme of things if one isn’t a good writer.